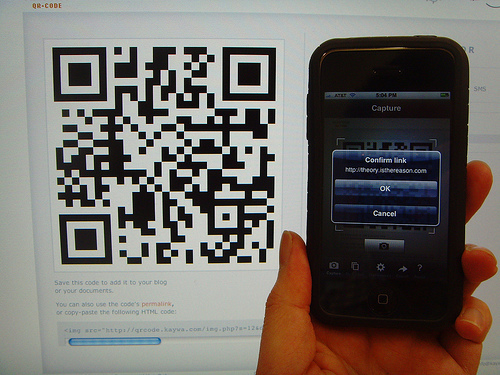 Are QR Codes ready for primetime? 21 October 2011, 16:04 p.m. According to a recent article in Biz Report, "a survey conducted by research firm Russell Herder found that over half of repeat QR Code scanners only 'sometimes' feel they have received something of value for their efforts." These results don't necessarily indicate that QR codes don't work. They only highlight that some businesses are using them effectively while others are not. Even though QR codes are being used successfully in Europe, the technology is still new to retailers in the U.S. So much like other forms of digital marketing, there is going to be a learning curve. Retailers just need to learn where the benefit threshold is for scanners, while showing patience as the use of the technology evolves and attempts to takes root. We have experimented with QR codes at Goodwill of Greater Washington. We post flyers in our stores with QR codes linking back to our Foursquare site where users can get an exclusive discount. It's a faster way of accessing the Foursquare offer without having to log onto the site through traditional channels. While the scans have been limited so far, it doesn't cost us anything and provides an additional opportunity for customers to benefit from shopping at Goodwill. We also recently added a QR code to a targeted direct mail piece that was delivered to several thousand college students living on the campus of a university close to one of our new stores. The DM piece offered a substantial discount, but if the consumer scanned the QR code, the discount increased by 10%. The campaign dropped the first day of the fall semester to a technologically savvy crowd. We expected a high redemption rate. Instead it was negligable. We have some theories as to why the effort wasn't effective, and we'll adapt the next time we use QR codes in a similar campaign. We've not given up on QR codes yet, since there is no cost as we experiment and learn, but we understand that initial results are not going to be as strong as we had originally hoped, even with a tech savvy audience looking for bargains. 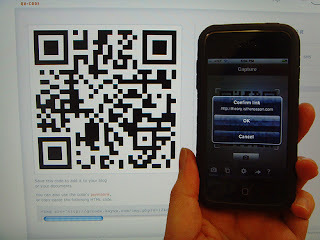 I think the key words when experimenting with QR codes are, "patience", "understanding" and "value". Be patient on the ROI, and be sure to understand your audience while maximizing the expected value. *The opinions shared on this blog are solely those of its author and do not necessarily reflect the opinions of Goodwill of Greater Washington or its affiliates. One marketer's opinion on marketing news & trends. Brendan has 20 years of marketing experience in both the for profit and nonprofit sectors. His marketing strategies have been featured in the New York Times, Washington Post, on CNN, FOX News, MSNBC, NPR and used as case studies at universities around the country. In 2011 Brendan was recognized as the National Nonprofit Marketer of the Year by the American Marketing Association, and in 2010, Brendan was selected as one of the "Top 20 CMOs" by SmartCEO Magazine.